INDIA . . Trivandrum . . . This is Greg's drawing, drawn on a jiggly bus. It catches a lot. 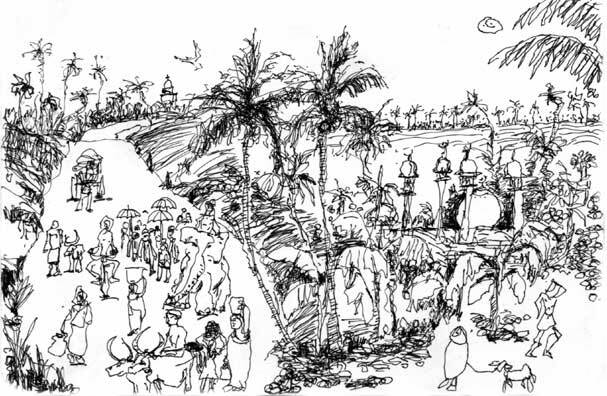 He sees all the details, the ox-cart, donkey cart, elephant, cows, dog, women, men, parasols, bananas, coconuts, mosque, field, road and distant Christian Church, even a bird and the sun.